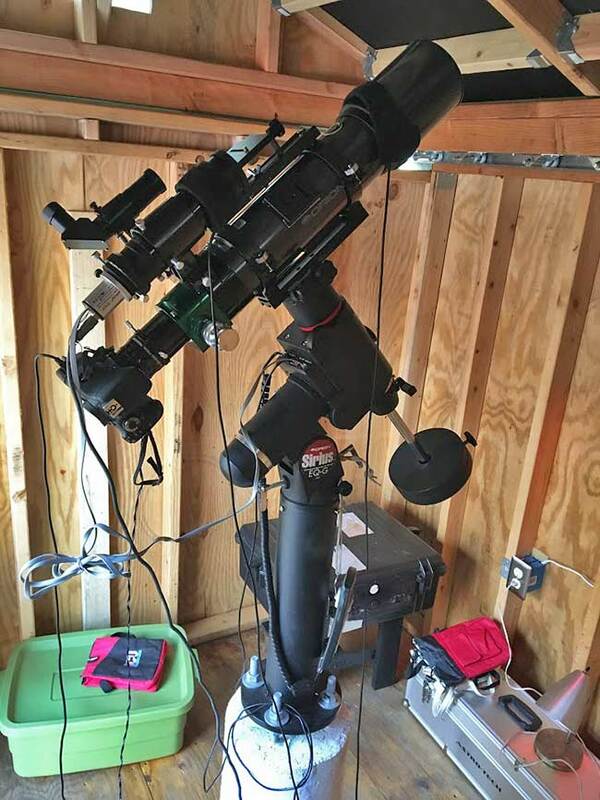 This week we have a serious looking deep-sky astrophotography setup housed in a backyard observatory in Connecticut, USA. Kurt Zeppetello uses his Canon EOS Rebel T3i DSLR camera to photograph objects in space through an Orion ED80 Apochromatic refractor telescope. I am a huge fan of this combination, as it is nearly identical to the gear I used for many of the images in my photo gallery. The portability and performance of a wide-field imaging APO with a DSLR camera make this combo one I often recommend for beginners. This Orion 80mm refractor telescope has an aperture of F/7.5 and a focal length of 600mm – making it a versatile instrument for many deep-sky targets. Sticking with Orion, Kurt uses the very capable and reliable Orion Sirius EQ-G Goto Telescope mount. This is a fantastic choice for those looking to step up to deep-sky astrophotography using a telescope. This mount is a twin to my beloved Sky-Watcher HEQ5 and has been widely used and enjoyed by backyard imagers for many years. Kurt has mounted the Sirius EQ-G to a permanent pier in his observatory. This cuts down on setup time a great deal, with many advantages such as the lack of a polar alignment routine required for each imaging session. For autoguiding, Kurt has chosen to use an Orion Short Tube 80mm F/5 Refractor with a QHY-5L-II-M camera. He also owns a new Agena 50mm Guide Scope with a Helical focuser – which I am sure Kurt will put to good use very soon. As you can see, everything stays nice and dry inside his home observatory when the weather is being uncooperative. Have a look at some my favorite images from Kurt below, and be sure to check out his blog; Quantum Quest. Thank you for sharing your setup with us Kurt! For a chance to be featured as the Backyard of the Week, please fill out this form and include the details of your setup. 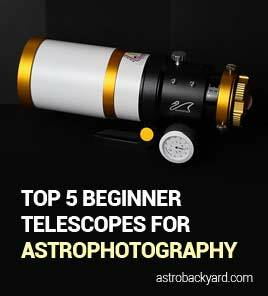 This is a great way for others to see the astrophotography equipment that is being used to successfully photograph the night sky.